How to handle School and IIT JEE Preparation at the same time? How to handle School and IIT JEE Preparation at the same time? How to handle School and IIT JEE Preparation at the same time? Short answer: Hard work and practice! From 2017, Class 12 Board marks no longer matter for calculating JEE Main ranks, but performing good in school exams is also important along with the preparation of IIT JEE. The good consistent academic score in your school can give you more confidence and you will feel mentally strong for your IIT goal. To get admission into IITs and NITs, a candidate needs to be either within top 20 percentile or must secure 75% marks in class 12th (or equivalent) board examination. So how a student should go about combined preparation of school and IIT JEE. Let’s see step by step for students of each class/grade. Up to 10th standard, you don’t need to focus too much other than your school syllabus. So be relax and enjoy your school time. Only one advice: Make sure you study to understand the concepts, not just for getting marks. It’s a practice that every student should adopt from very young age. You can apply for different Olympiads and exams like NTSE where you develop competitive skills that will help you in your JEE Preparation. For class 8-10, a foundation course for IIT JEE can be handy for students, where objective is to create strong foundation for IIT JEE along with the school examination preparation. From class 11th onward, it’s like a two way preparation. On one hand you will be studying as per your school curriculum, and at the same time you have to put ten times more effort for JEE preparation. There have been tendency of students to take class 11th lightly. You should never make this mistake. Save these words, “Class 11th is very important for success in IIT JEE”. Focus on every chapter and understand the concepts because in 12th class you will find use of most of the topics of 11th class. 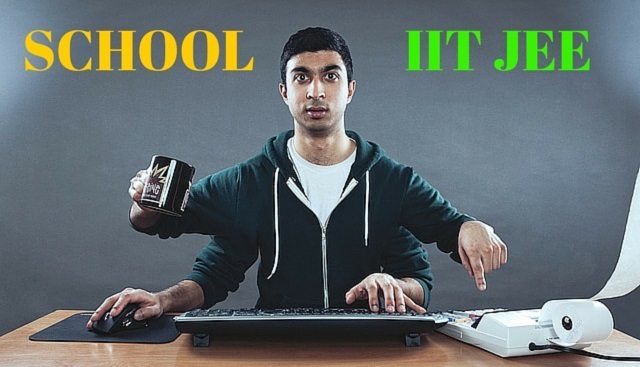 Related Post : Is Class 11 the Right Time to Join IIT JEE Coaching? First advice is, utilize your school hours in a best possible way. Understand everything that is taught in the class. In-case you missed out on anything, try to clear that after reaching home. Next step is to solve problems that are left by your teacher in the class (I am assuming that teacher in school don’t solve all the questions for you). Go through the examples in NCERT textbook. They are very valuable for the preparation of school exams and JEE both. It will be best if you finish these things before your evening walk in the park, or any other activity, (taking break is good to refresh your mind). After break, you have to study exclusively for JEE. You can refer to recommended books for JEE to understand theory and practice more problems. 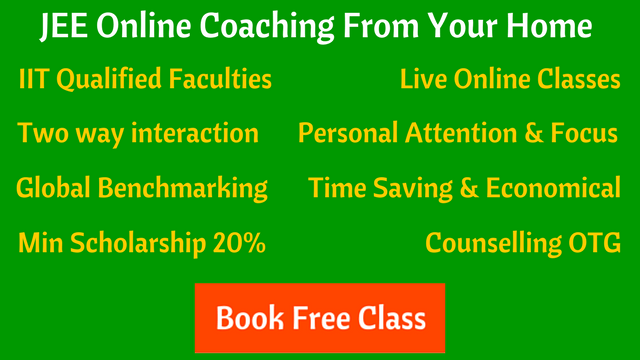 Don’t miss out on any class and give your full attention in the class. Make notes which are easy to read for you. Solve regular questions on the topics taught in the class. Solve questions that are within the syllabus. Don’t go deep into the topic as if you are doing research. The objective is to clear the IIT JEE examination, you can do the research part later when you get admitted to IIT! If you are not understanding anything, take help from your teacher, coaching class, friends, or anyone, but make sure you understand the concept properly before starting to solve the problems. Once everything is clear, try to solve as many questions as possible. Take a short break after 45–50 minutes of continuous study. Close your eyes for few minutes, have water, etc. Make sure you have 7–8 hours peaceful sleep. Before sleep, do a quick revision of the things you have learned through out the day. In the later stage of your preparation you can go for solving practice tests (AITS) for IIT JEE. If you put your best effort, stay focused and avoid distractions, you can do well in both IIT JEE and School Board exams. Related Post : How to Prepare for JEE Main and Boards at the Same Time?